[This is related to the blasphemy mess of Farooqi Girls High School. Please see these earlier posts here, here, here, here, here, here, here and here. You can also read my take on this matter in The Guardian: Blasphemy Laws are Darkening Pakistan's Skies]. Two things to report. First of all, the bail of Umair Asim's father was confirmed yesterday by a judge of the Lahore High Court. The judge seemed to know the details of the case and of the fact that this was all an unintentional mistake, and he proceeded to immediately confirm the bail of his father (and apparently of the teacher, who is already in hiding). This is really good news! In fact, the judge suggested to the Superintendent Police (SP) to go ahead and cancel the entire blasphemy case, as there is no intention in there, and therefore no crime was committed. But the SP suggested that he also wanted to get the fatwas from the leading Islamic schools before the whole case could be dropped. So now Umair's family has to wait for that. This is a perfect demonstration of how religious groups are now making gains in civilian matters. This is ominous for the country. The issue of blasphemy cases, including the one involving Umair's school, was discussed by the NPR today. You can listen to the story here. On a recent autumn morning in Lahore, hundreds of uniformed schoolgirls, many wearing veils, file into the Farooqi Girls High school. The four-story school sits just off a narrow, congested street in an older section of this vibrant city in eastern Pakistan. 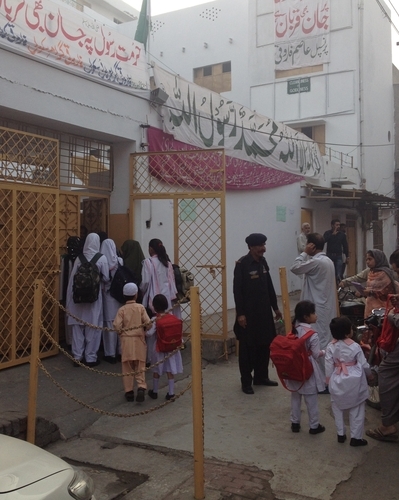 Getting back to class is a welcome return to normalcy for Farooqi's students and teachers. The school was attacked last month after a teacher was accused of writing insulting comments about the Prophet Muhammad in a student's notebook — something the teachers vehemently dispute. The accuser was a vice principal from a nearby religious school, or madrassa. On the night of Oct. 30, an angry and violent mob formed outside the Farooqi school. 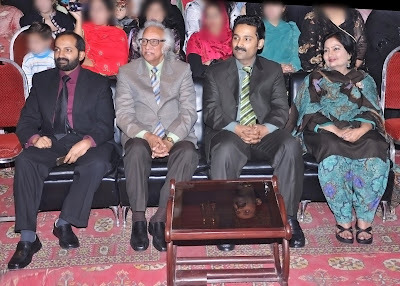 Still inside was Sheraz Shuja, the school administrator, along with the principal and some teachers. "We heard a loud knock at our door, and they were trying to break the door. 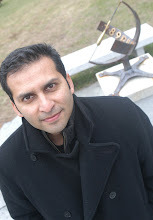 They were pushing it hard," Shuja says. "So we went on the top floor. Then they broke into the building, hundreds of people. They looted and burned everything. We were very afraid. If they had got hold of us, they would have killed us." The police arrested Farooqi's 77-year-old principal, and the teacher accused of blasphemy is in hiding, in fear for her life. This is the fourth time this year that teachers working with nonreligious curricula have been accused of blasphemy. Sumbul Naseer, who teaches science at the Farooqi school, says she's worried. "So many people are having threatening calls from so many numbers, [saying], 'Don't open the school, don't go inside, we will not spare you people,' and this and that," Naseer says. So yes, Lahore is not Swat, where the 14-year Malala was shot by the Taliban for being outspoken for her girl's education. However, given the fact that even most moderate (within the country's spectrum) Pakistanis support the blasphemy law ("oh - it is just the issue of implementation - but it is actually the right law..."), local religious groups and institutions can gain power using these blasphemy cases. If tomorrow members of the madrassa that led the charge against Umair's school demand some modifications in the secular curriculum or in the dress-code of the girl's high school, people will think twice before challenging them. Not to mention that already, people are seeking their approval for the dismissal of the blasphemy case. That is indeed some power. And this kind of Ulema power is relatively new and we are seeing these changes take place in front of our eyes. Under Pakistan's stringent blasphemy laws, it takes only one accusation — backed up with little or no evidence — to lead to an arrest. The original laws date back to British colonial times, before Pakistan gained independence in 1947. The laws were strengthened under President Zia-ul-Haq during the 1980s, when insulting the Prophet Muhammad or the Quran was made a capital offense. However, to date, no one has been executed for blasphemy. The laws do not clearly define what "insult" means. This gives wide berth to Islamist extremists, who have been increasingly using the laws to further their religious goals, says Joseph Francis, director of the Center for Legal Aid Assistance and Settlement, which helps Christians accused of blasphemy. "Extremists have been able to exploit the situation," Francis says. "Pakistan is under attack from militants, trying to introduce their version of Islam and creating intolerance against minorities. The blasphemy law is one of the instruments they can use." Francis says Shiite Muslims, Hindus, Christians and other minorities are being increasingly targeted. The accused, their families and their communities often face vigilante justice, he adds. "If one person is accused, the entire community is punished," Francis says. "In one case, six people were burned alive and 147 houses burned down. Many people have to go into hiding — they cannot lead a normal life." In a twist, her accuser was arrested for planting evidence against her. In a television interview, he said he wanted to drive the Christians from the area. I.A. Rehman, secretary-general of the Human Rights Commission of Pakistan, says charges of blasphemy often have nothing to do with insulting the prophet or the Quran. "Our finding is that blasphemy cases are initiated, in a large number of cases, to settle personal scores, to settle economic competition issues and to settle sectarian differences," Rehman says. And that is likely to continue, he adds, because the government won't tackle Islamic extremism. "The government is not in a position to take on the militants straight on," he says. "It is weak. And the extreme ... wave of intolerance has sympathizers and supporters across the board in Pakistan." Pakistan's politicians may take warning from what happened to Salman Taseer, the former governor of Punjab. He was gunned down last year after suggesting that the blasphemy laws be reviewed. Again, wishing and hoping all the best for Umair, his whole family, and the accused teacher. 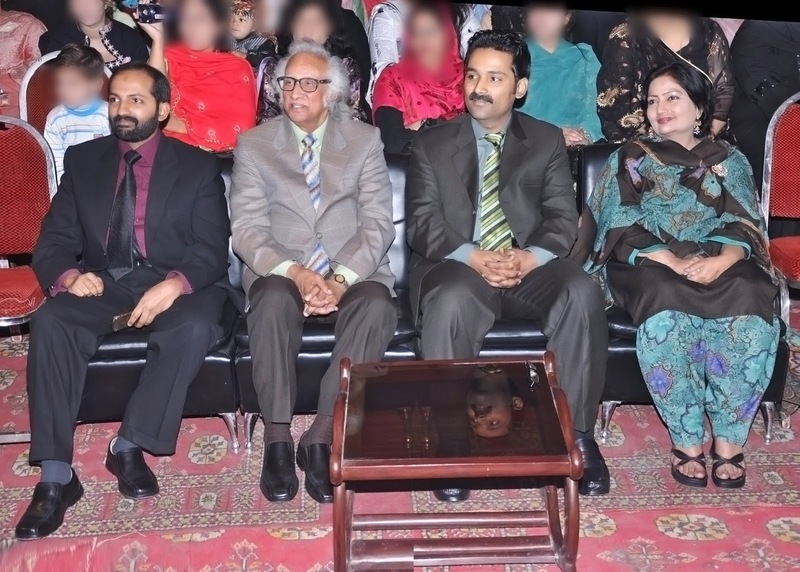 Here is a picture of Umair (left), his father, brother, and his mother. A skipped page by a teacher in their school - in a moment of hurry - has turned their world upside-down, including all the education work they have done in the past several decades. What a travesty! Blow is a picture of Farooqi school that is now open - but the banners on the school - probably by the school administration - remind us of the controversy (one banner is the Shahada, affirming the unity Allah and that that Muhammad (PBUH) is Allah's Messenger).